MovieBox Not Working on iOS 8 or Later iPhone iPad Problems Fixed! MovieBox Not Working on iOS 8/9/10/11/12? Fixed Here! Among MovieBox users, quite a few do not like the idea of iPhone jailbreaking, so they prefer using this movie streaming app with non-jailbreak device. Also Apple apparently does not allow this kind of app in its official App Store on account of its lawfully questionable use and nature, but the developer community has a way of side-loading app. That being said, however, quite unstable. Grounded on the comments and Qs mentioned on forums, downloading and running MovieBox is hit or miss; it only works for some people, once in a while. That's why plenty of users complain MovieBox not working on software forums. But complains are complains, which do nothing good for problems solving. How to fix MovieBox stopping working problem is of essence. Here I gathered the effective solutions. Nonsense aside, let's go straight to the business. 5KPlayer - Best alternative to MovieBox for you to free download HD, 3D Blu Ray 4K/8K movies on Mac/PC and then watch movies on iPhone iPad without any Moviebox not working error. Part 1 - How to Fix MovieBox Issues on iOS 8.0.2? Part 2 - How to Solve MovieBox Not Working on iOS 8.1- 8.1.2? Part 3 - How to Use MovieBox Alternative? Part 4 - How to Troubleshoot MovieBox Problems on iOS 8.1.3 or Later? To be blunt, the reasons leading to MovieBox won't open or not working issues covers a wide range of sides. Here I directly give you the solution bypassing the reasons lest you are confused by varied causes so that you can watch movies from Hollywood, Bollywood or Nollywood on iPad (Pro), iPhone (XR/XS/X/8) with not issue. 1. Prior to tackle the problem, what you should do first is to make sure MovieBox has been force-closed, for it might be running in the background. 2. Access to Settings >> General >> Date & Time. Turn off "Set Automatically" and switch the date to September 1, 2014. 3. Return to your home screen and open Movie Box. 4. Once again come to Settings >> General >> Date & Time and turn "Set Automatically" back on. Wonder the reason why this would fix MovieBox stopped working problem? Let me tell you: that's because you need to bypass the app's expired security certificate. Changing the date essentially tricks your device into thinking the certificate is still valid, thus allowing it to run. Part 2 - How to Solve MovieBox App on iOS 8.1- 8.1.2 Problems? Honestly speaking, so far I don't dig out the effective solutions to directly tackle MovieBox won't open on iOS 8.1-8.1.2 issues on MovieBox itself. All I got is to resort to MovieBox alternatives for help, which of course are equal to MovieBox or even better than MovieBox for you to stream and download TV shows, movies, etc. When it comes to MovieBox alternative to deal with MovieBox won't work trouble, the first one strikes your mind is nothing but Popcorn Time. 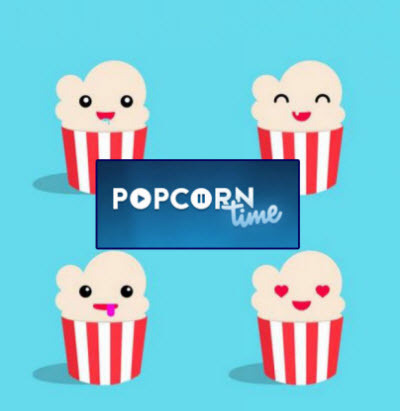 As the best free alternative to MovieBox, Popcorn Time can assist you to stream and watch a wealth of movies with 720P or 1080P HD quality on iPhone iPad. With the aid of the traditional file exchange system Torrent, you guys are allowed to enjoy the latest Hollywood blockbusters, TV shows without even downloading anything. So when your MovieBox is not working, it's advisable to have a shot on its alternative Popcorn Time. One more thing to note: this Movie Box alternative for iOS 8.1-8.1.2 is easy to result in bandwidth overuse, CPU problem, copyright infringement issues, etc. Another must-mention alternative to MovieBox goes to well-liked HD Cinema, which is also a free app that allows iOS iPhone iPad users to stream movies and TV shows in HD for free from their mobile device. Download HD Cinema onto your iOS device without jailbreak. HD Cinema supports all versions of iPad, iPhone, and iPod Touch running iOS 6 and up. Sounds nice, right? On top of the above mentioned MovieBox alternatives, which are also movie streaming software with copyright infringement issue, virus risks like MovieBox, you can cost-free watch movies, TV shows via another legal path-download movies, TV shows from legal video sharing site. This is why the fourth alternative to MovieBox-MacX YouTube Downloader comes into being. Different from Popcorn Time and HD Cinema, this MovieBox alternative offers you a brand-new yet legal way to enjoy movies and TV shows, no streaming, no copyright issues. It helps you download TV shows, free Hollywood Bollywood movies from YouTube, Facebook, Vimeo, Vevo, Dailymotion, Instagram and other 300 video sharing sites with great stability. No matter the movies or TV shows formatted in MP4, MOV, M4V, FLV, MKV, AVI or resolution in 720P, 1080P, 4K Ultra HD, it can hassle-free make them download with purely mins. Better still, it can automatically add the output MP4 videos movies to iTunes Library for transferring to iPhone, iPad, iPod for playback. Part 3 - How to Troubleshoot MovieBox on iOS 8.1.3 - iOS 12? As of typing, all these apps – Popcorn Time, HD Cinema, and MovieBox are no longer working for iOS 8.1.3, let alone iOS 9. To add to the bad news, iOS 8.1.3 and iOS 9 plug the exploit that TaiG tool uses to jailbreak iOS 8.0-8.1.2. There is, however, a temporary solution. I suggest you downgrade iOS 8.1.3 to iOS 8.1.2 after downgrading iTunes 12.1, and then use TaiG jailbreak on Windows. As long as you have jailbroken your iOS iPhone iPad device, you are free to install Popcorn Time, MovieBox and HD Cinema from Cydia. And if you are running on iOS 9, please try to downgrade iOS 9 to iOS 8 to have a shot.